Rumors had speculated that the film had Luthor taking General Zod’s Kryptonian DNA to create an uber-powerful monster that would unite Batman (Ben Affleck), Superman (Henry Cavill), and Wonder Woman (Gal Gadot) against the creature and the trailer revealed some truth to that. The image of the trio alone laid some solid groundwork for a “Justice League” flick in an already expanding DC Cinematic Universe. Before that, the trailer also established the conflict between Bruce Wayne and Clark Kent at the start of the film. 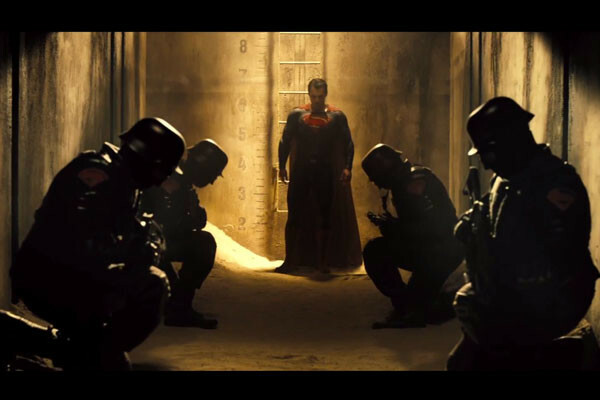 The plot appears to unfold right where “Man of Steel” left off, with the world turning on Superman and the havoc he could not stop Zod from wreaking. Batman begins to investigate, but it seems as though a much bigger threat presents itself at the hands of Lex Luthor (Jesse Eisenberg). “Batman v Superman” paves the way for a slew of DC films in the near future, which includes “Suicide Squad,” which features Affleck’s Batman as well. From there most likely, audiences will see Wonder Woman, Aquaman, and The Flash get their own movies.